The inaugural Missouri Active Transportation Summit is coming to Springfield, MO, on August 5, 2016, from 10 am-4pm. Conference registration is just $10 (Early Bird, through July 22nd) or $15 regular. This event is a gathering of staff and key leaders of Missouri bicycle & pedestrian advocacy groups and those who work as bicycle, pedestrian, or trails professionals in Missouri, organized by the (NEW!) 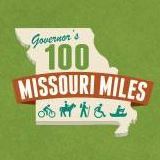 Missouri State Chapter of the Association of Pedestrian and Bicycle Professionals (APBP) and the Missouri Bicycle & Pedestrian Federation, in cooperation with bicycle, pedestrian, and trails agencies, businesses, and groups across Missouri. We will share information, knowledge, and successes. Our featured speaker will be Roberta Broeker, Chief Financial Officer of MoDOT. The event will include walk and bike tours of Springfield, an opportunity to share the successes of your organization, business, or agency, a chance to meet and mingle with other Missouri bicycle & pedestrian professionals and advocacy staff from around Missouri, and the initial meeting of the Missouri Chapter of the Association of Pedestrian and Bicycle Professionals. Conference fee includes your lunch. Participants in the bike ride need to bring their own bikes. The bike ride will be about 8.4 miles. The walk is about 3 miles. Click here to register for the 2016 Active Transportation Summit.